The 300 Winchester Magnum, or 300 Win Mag, as it is normally called, has become the most popular 30 caliber magnum hunting round in America. Due to its range, manageable recoil, and effective energy output, this round is perfect for hunting in both long and short range environments. Hornady has been around since the end of the second World War, and has not stopped making the same, high quality ammunition they created when they started. 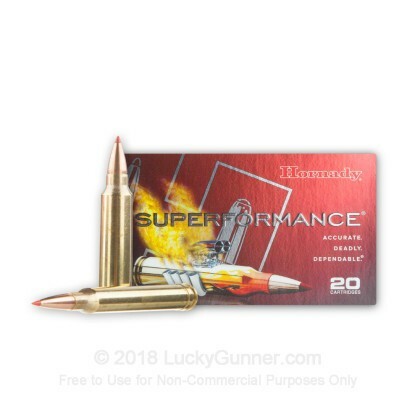 These Hornady Superformance rounds are fantastic for all your deer and boar hunting needs. Firing at much higher speeds than your conventional rounds, these Superformance rounds truly are a step above the rest. 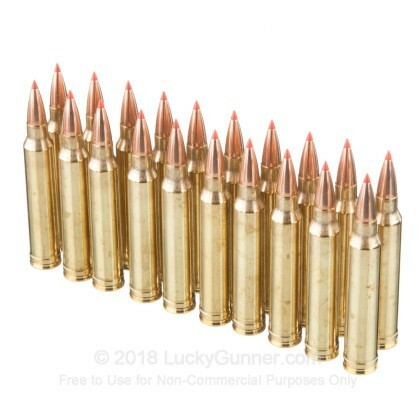 These monolithic, copper alloy bullets retain 95 percent or more of their weight after impact and release controlled, massive terminal expansion, making for the perfect hunting round. 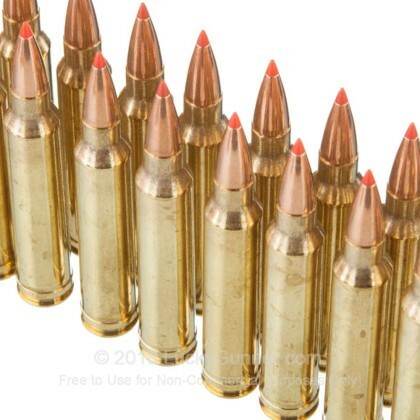 If you're worried about reloading the rounds after they've been spent, that's not a problem. These rounds are manufactured with brass casings and boxer primers, making reloading a piece of cake. 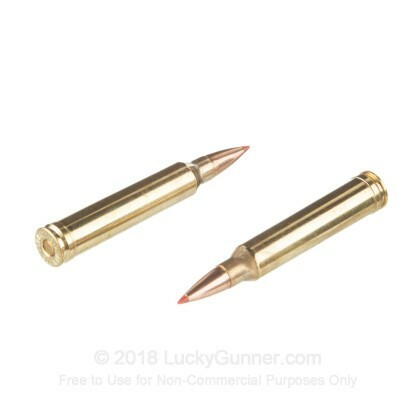 With these high powered GMX rounds, you can hunt down your favorite big game animals with ease. 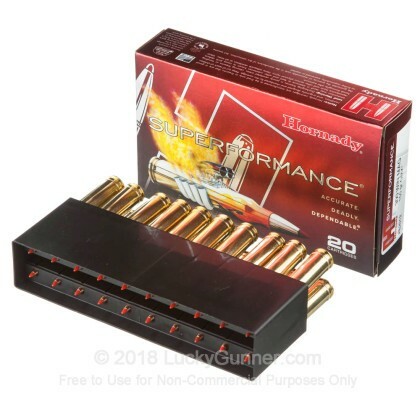 We don't have any reviews yet for this particular .300 Winchester Magnum ammo from Hornady. 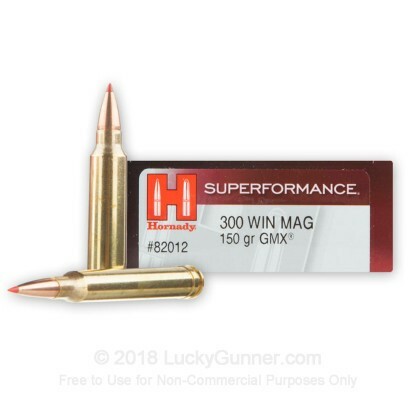 If you'd like to be the first to review this particular .300 Winchester Magnum ammo from Hornady, fill out the form below.